Right now as you're reading this article, you've probably got several other tabs open in your browser. Wasn't technology supposed to make our lives easier? Wasn't it supposed to help us focus more? Do more? Be more? 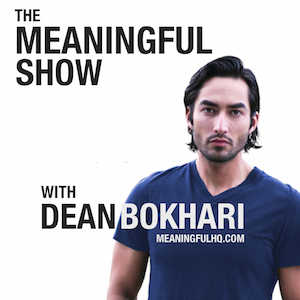 In today's episode of the Meaningful Show podcast, you're going to learn a simple strategy that will help you learn how to focus and get things done... and not just any old thing; but the most important things. Click below to start streaming now. What's the best way to overcome fear?